Professional medical insurance billers have access to patient information that’s protected by law. A career in the profession requires an individual with honesty, integrity and a highly developed sense of ethics. Nitin Chhoda says that the professional life of an MIB contains multiple ways in which they can run afoul of ethical issues. An honest mistake can be corrected, but an ethical issue, either by commission or omission, can land a biller in trouble with the law. He explains further using the following factors which MIBs should be concerned about. Patient confidentiality is ensured by law. Violations by either word or deed will find clinicians and billers in trouble for a breach of HIPAA security regulations. There are strict rules governing the sharing, release and transmission of health-related data and identity theft is a real concern. It takes only moments to obtain clarification for coding questions. Billers that submit inaccurate codes and try to shift the blame to others when the error comes to light won’t be employed for long and will earn the ire of their co-workers. The billers’ job is to maintain the revenue stream by coding accurately and honestly. Billers are only human and an error is inevitable. However, when an error is uncovered, it’s imperative to bring it to the practitioner’s attention, correct it and submit a corrected claim immediately. Failure to do so can result in a payment deficit, or an over payment that can have adverse financial ramifications for the clinician. The same ethics apply if an insurance carrier handles a claim incorrectly and inadvertently over or under pays the practitioner. Ambiguous information calls for clarification. Not every act performed by the clinician is billable. Eligibility for an increased level of payment requires additional skill or work by the practitioner. IMPORTANT: Code and bill only according to what the documentation indicates. Each code is designed to include multiple actions within the treatment process. They’re billed as a whole rather than individually. There are times that billers should know when unbundling is appropriate, but the technique must be used with extreme caution. Billers must also know that some codes aren’t compatible with others and documentation must support that extra time or expertise was required. Many payers require patients to receive treatment from their network of physicians. Seeing an out-of-network provider may not be covered or the patient may have to pay additional out-of-pocket expenses. Billers should endeavor to protect patients from this and explain the practice’s protocols for handling these types of situations. Protecting the patient includes verifying their coverage, obtaining a pre-authorization when needed and making referrals within the patient’s network. Failure to do so can result in the patient being hit with an enormous bill they can’t afford. 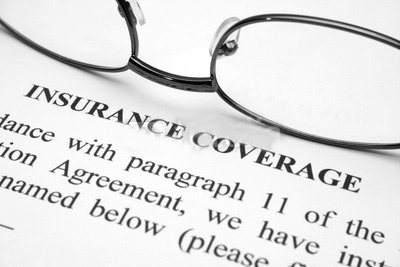 Following the dictates of the patient’s insurance also protects the clinician from non-payment. Ethical issues for medical insurance billers can come in many guises and MIBs must be vigilant. They must code accurately, act honorably and perform ethically. Doing so will demonstrate their honesty, integrity and professionalism, while ensuring the best reimbursements for practitioners.